Even as the ‘Newton’ and ‘Stree’ actor waits for his dream role, he isn’t quite resting on his laurels either. 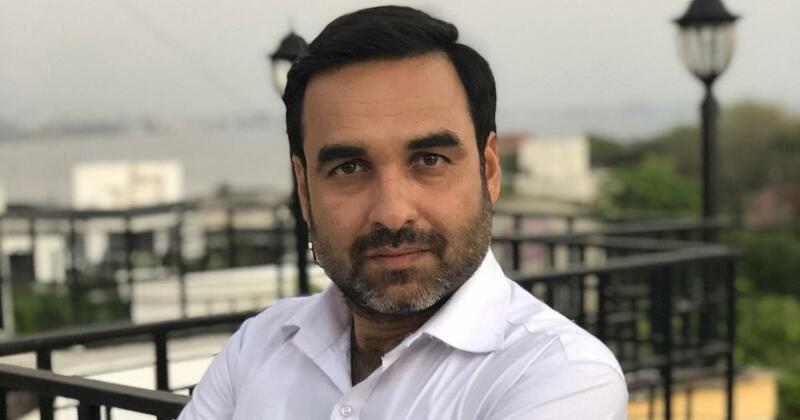 It’s a rainy weekday evening in Bengaluru and Pankaj Tripathi is sitting in his vanity van, scrolling through his phone, waiting for the shot to be ready. The Newton actor was in the city to shoot for Indrajit Lankesh’s biopic of south Indian screen sensation Shakeela. Tripathi plays Shakeela’s co-actor, a role that requires him to, among other things, run in slow motion wearing a red blazer and black trousers. Does anybody doubt that Tripathi will ace any role? The National School of Drama graduate has played nearly every character assigned to him with remarkable ease and fealty, including the charming Indian Railways employee in Masaan (2015), the battle-hardened Central Reserve Police Force officer in Newton (2016), and the alcoholic builder in Gurgaon (2017). This year, Tripathi was in Angrezi Mein Kehte Hain, apart from small roles in Kaala and Phamous. He also appeared in the first season of the Netflix series Sacred Games, and is expected to return for the second round. His latest scene-stealing performance is as a bookseller in Stree, which was released on Friday. There’s more in the months ahead: Super 30, the biopic of mathematician Anand Kumar, the action drama Drive and the comedy Bhaiaji Superhit. Tripathi is also shooting for Luka Chhupi in Gwalior, in which he plays a real estate agent who is single and “tries to search for his to-be bride in every woman he meets”. Then there is Criminal Justice, BBC’s Indian adaptation of the American drama series The Night Of. Tripathi also makes efforts to drop contemporary references into his performances. In Stree, for instance, his character Rudra says that the female spirit haunting the village has the Aadhar details of every single resident. Although characters he meets in his regular life inspire and influence his performances, his own personality seeps in too. If Tripathi were a librarian and not an actor, he would be Rudra, he asserted. This is also true of his other characters, including Sultan Qureshi from Gangs of Wasseypur or Atma Singh in Newton. “See, I’m five feet and 10 inches with a distinctive long nose and even more distinctive mannerisms – it is inevitable that my personality will enter the role I’m playing,” he said. 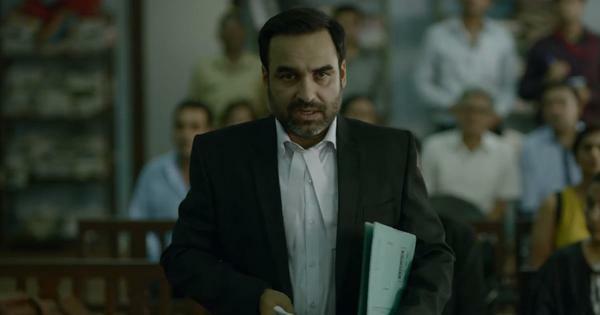 That distinctive leftward tilt of the head seen in nearly ever single Pankaj Tripathi performance isn’t only for the movies. “I often tell filmmakers to reduce my lines because I feel I can communicate some of those lines in a gesture,” he said. Gangs of Wasseypur Part 1 (2012). One role that will be difficult for Tripathi to top is Atma Singh from Newton, which was India’s official Oscar entry in 2017. Sarojini Ek Nayi Pehal (2015). The day he asked the channel to be relieved of the role, Masurkar sent him Newton’s script. Tripathi had worked with Masurkar on a short film on women and driving called L.